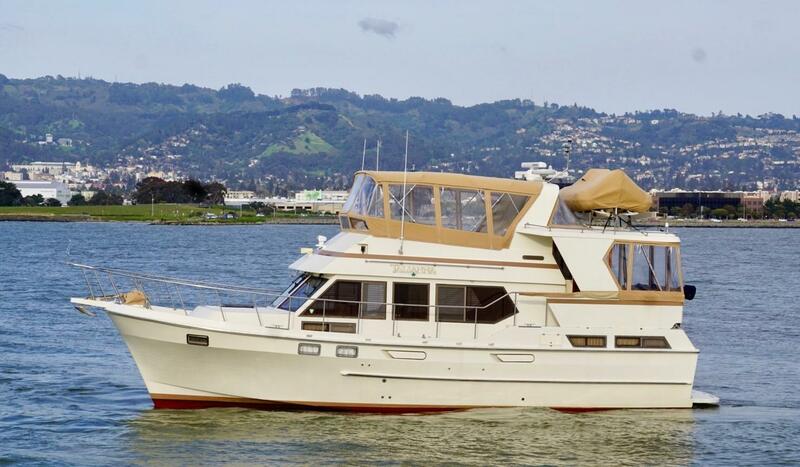 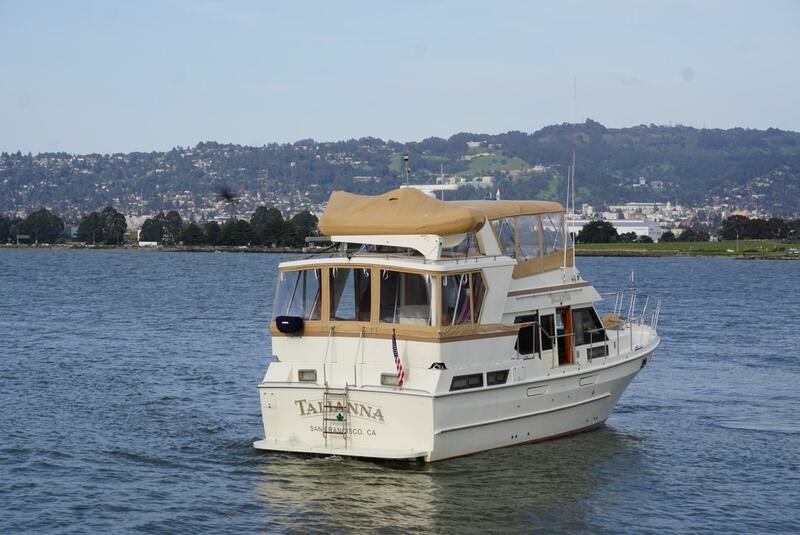 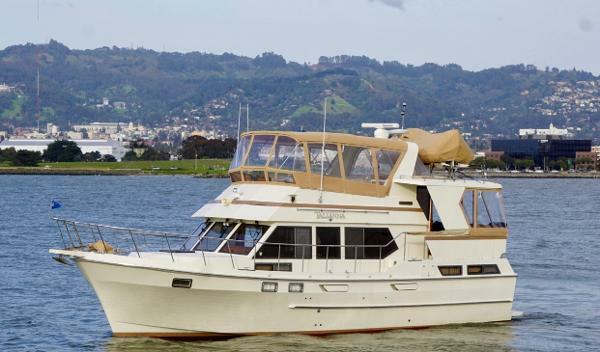 TALIANNA is the most well maintained and heavily updated Ponderosa 42 yachts on the market. 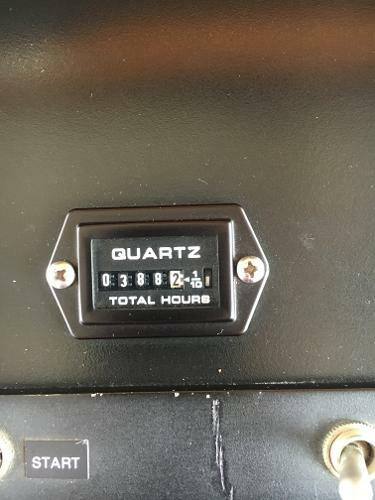 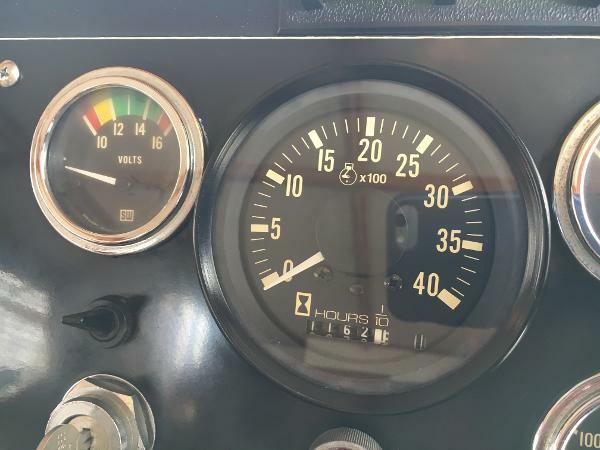 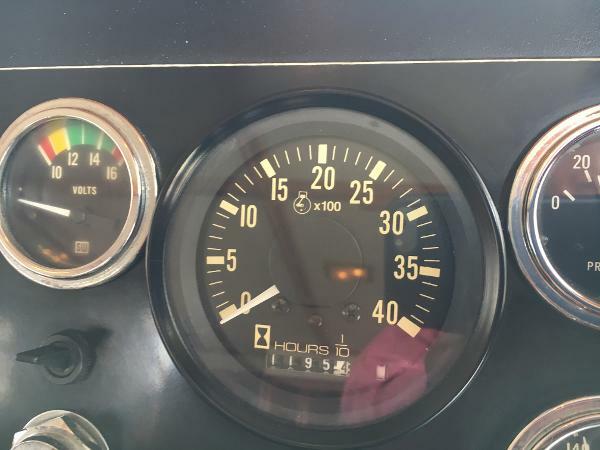 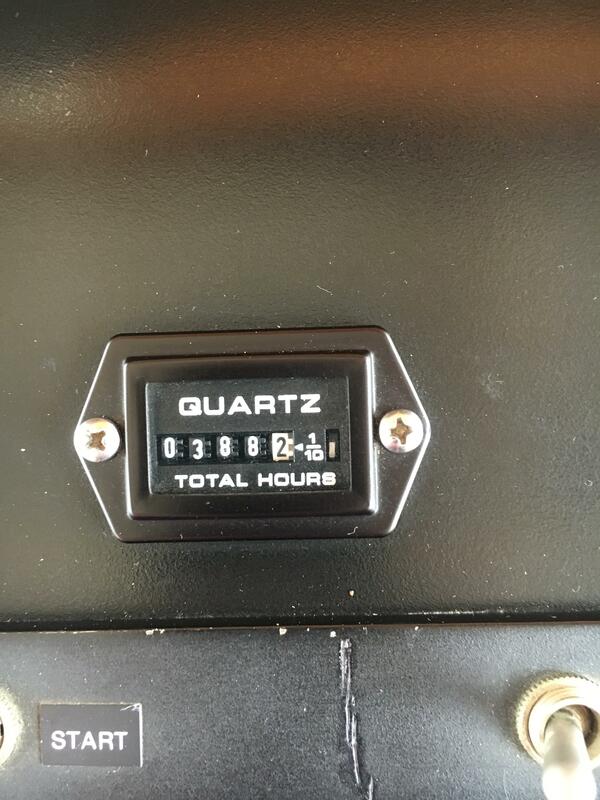 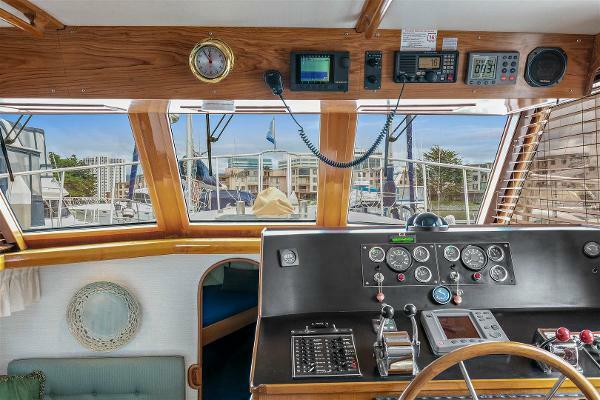 Her meticulous owners have spared no expense in keeping her pristine and in top mechanical shape. 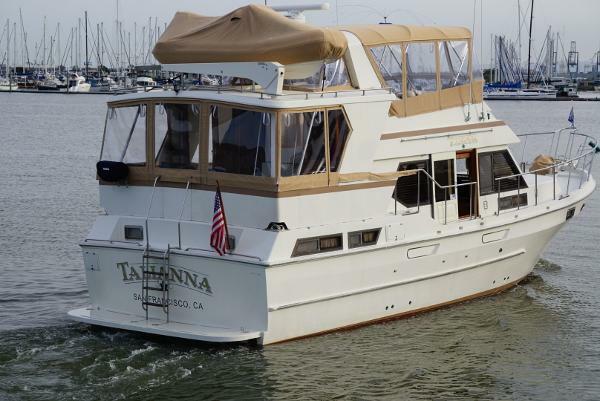 She is tastefully appointed and ready to enjoy immediately. 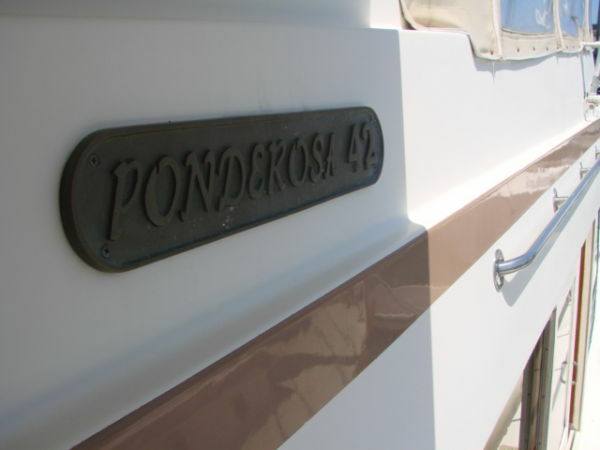 The Ponderosa 42 is an exceptionally spacious and comfortable Sundeck Motoryacht with two generous staterooms and two heads. 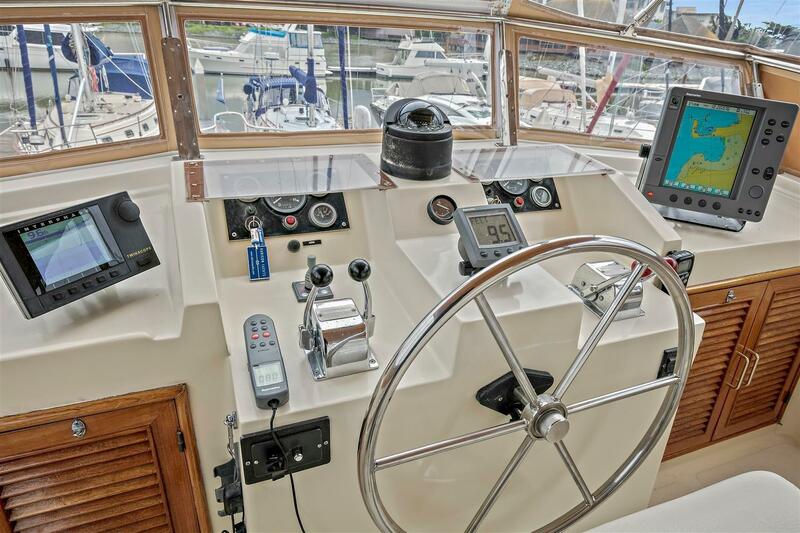 She is powered with reliable and fuel efficient twin 200 hp Perkins Diesel engines with low hours. Builder: CHB- Chung Hwa Boat Building Co. The feel of main salon is bright and airy as you enter through either the starboard sliding door or the sundeck door. 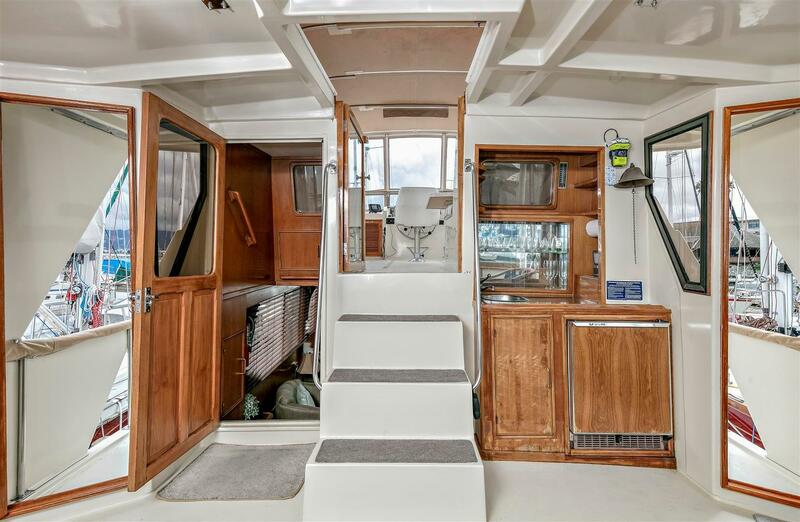 There is a wrap around settee to starboard, two barrel chairs to port, attractive tables and accessories which all work together to give a designer feel. 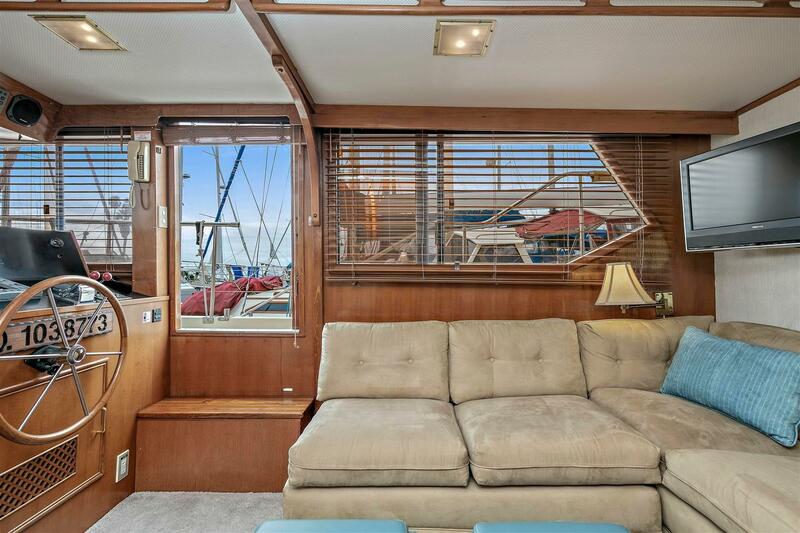 The salon has pleasant accent lighting, and custom wood blinds are on all windows creating and extremely comfortable and enjoyable space. 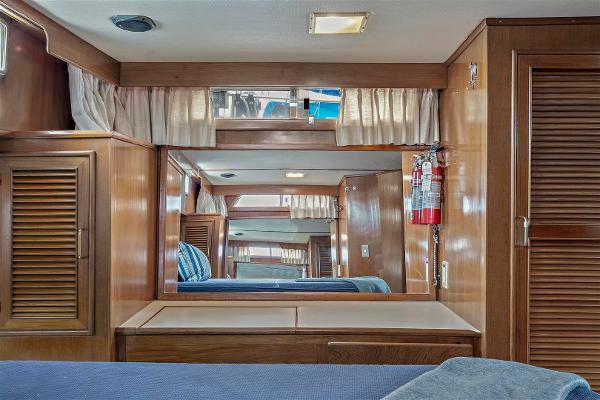 There is a flat screen TV with DVD. 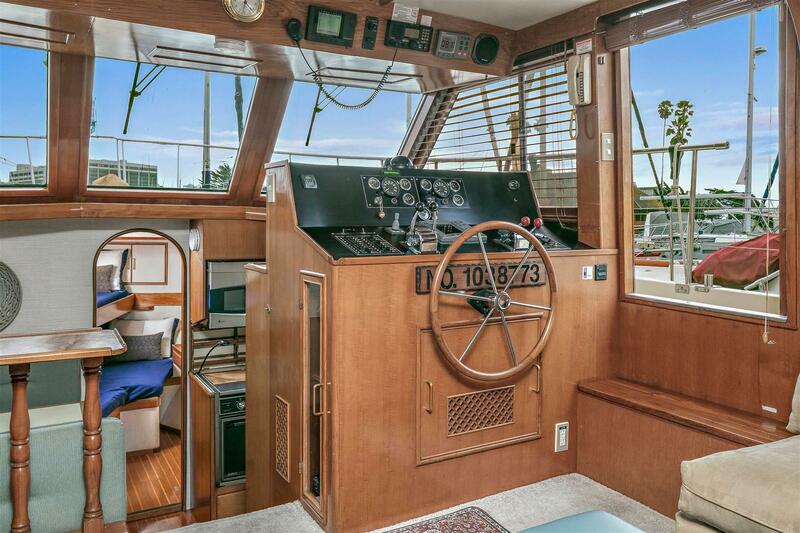 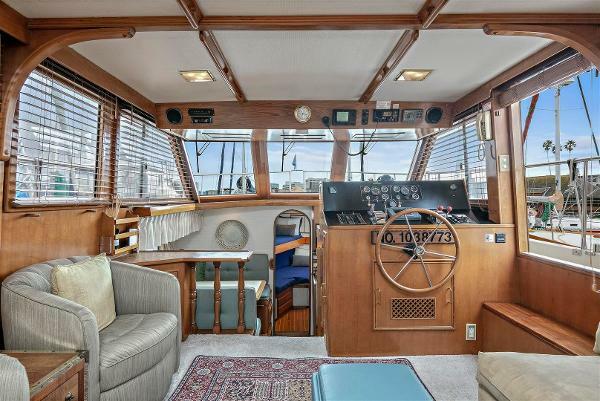 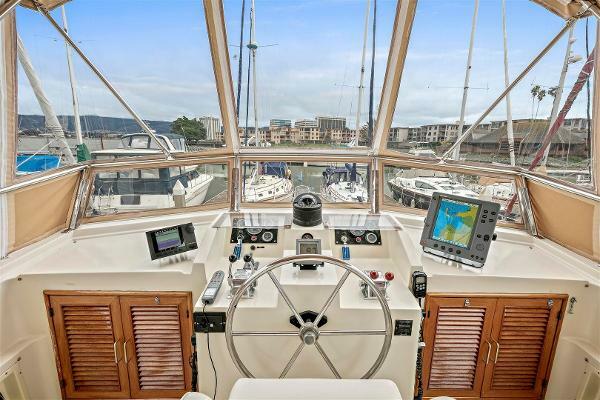 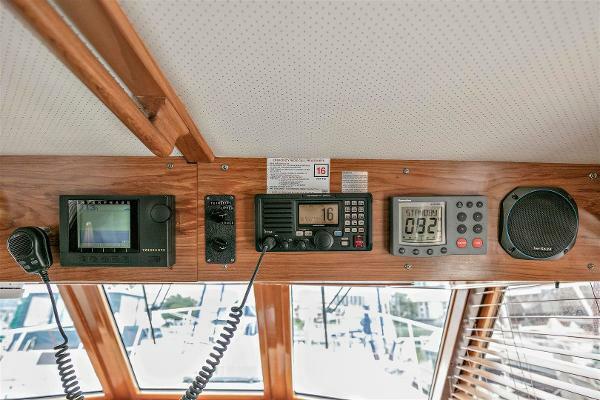 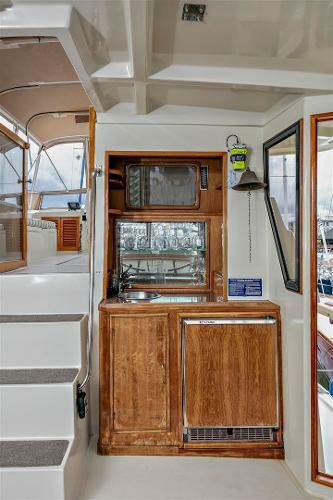 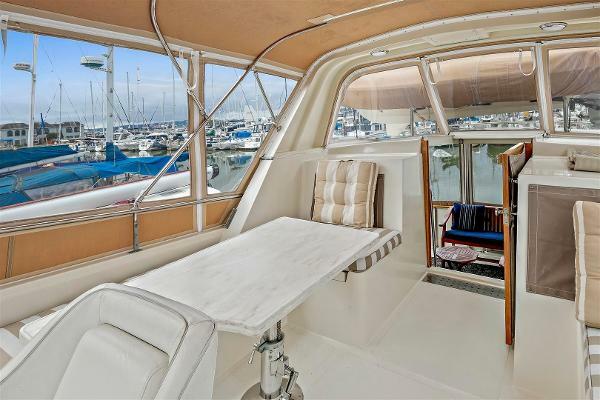 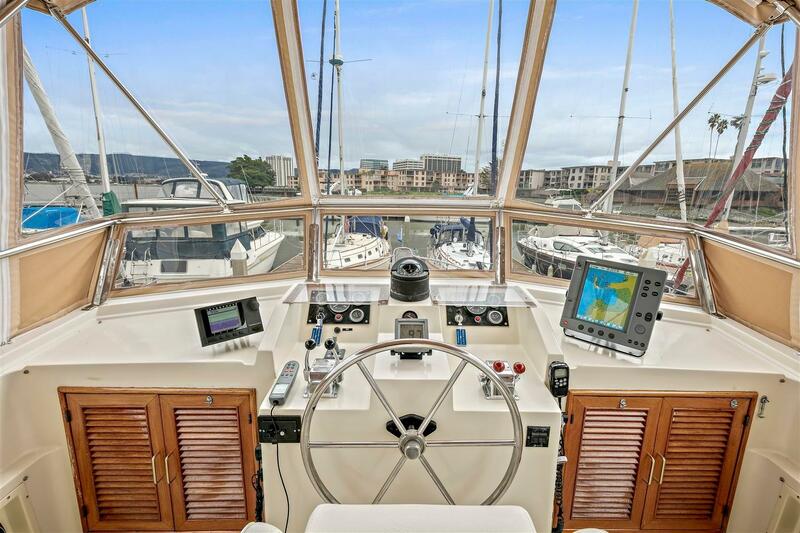 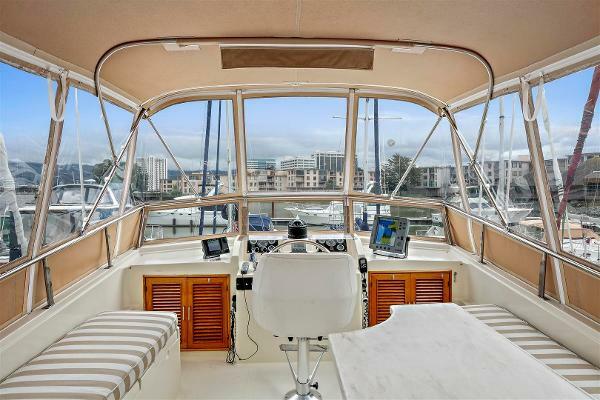 Forward is a lower helm station to starboard and to port is a counter that overlooks the dinette and galley. 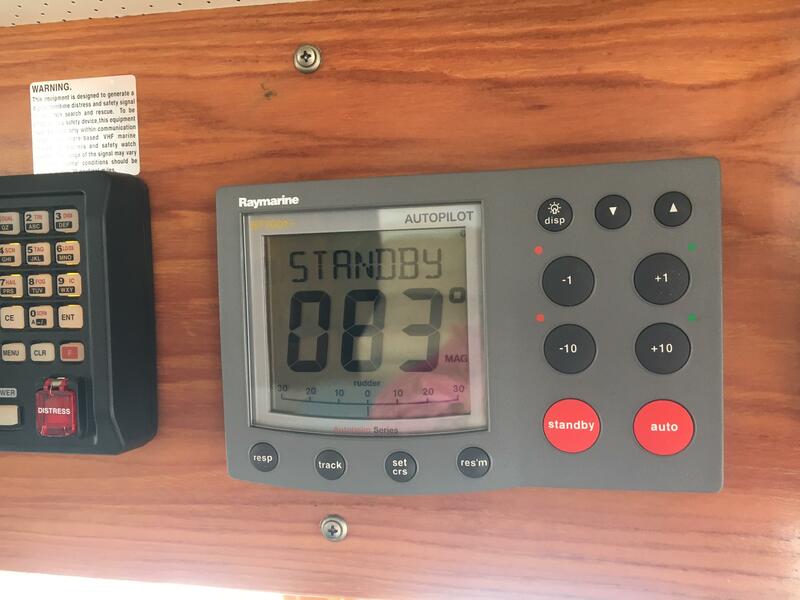 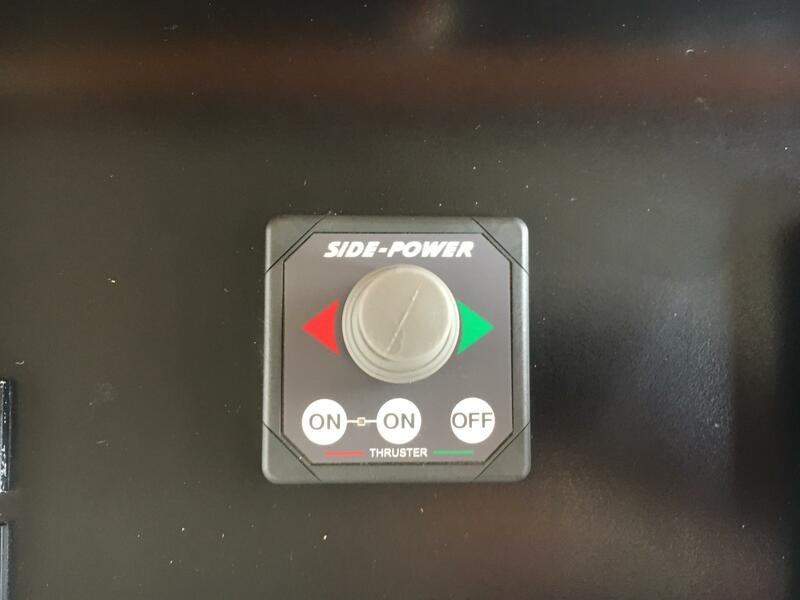 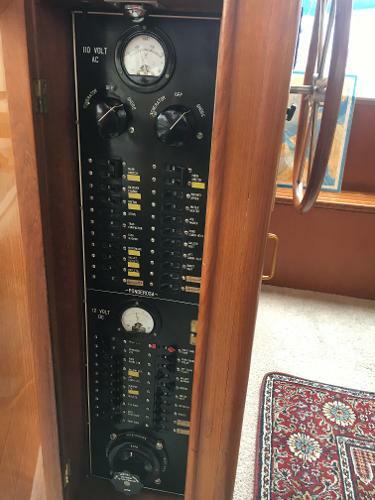 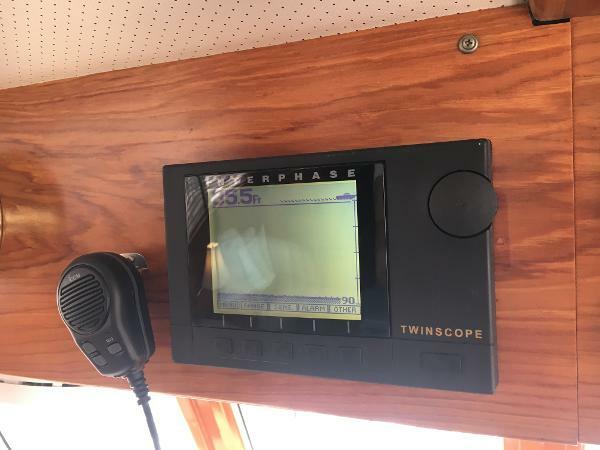 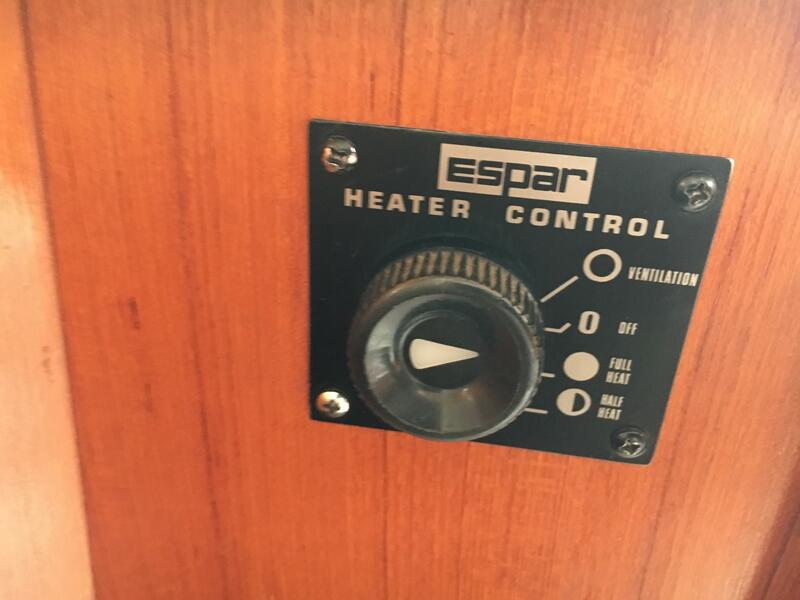 The central heating is a multiple zone thermostatically controlled Espar Diesel 28000 BTU Forced Hot Air Heating system which warms the entire boat without the noise and nuisance of running the generator. 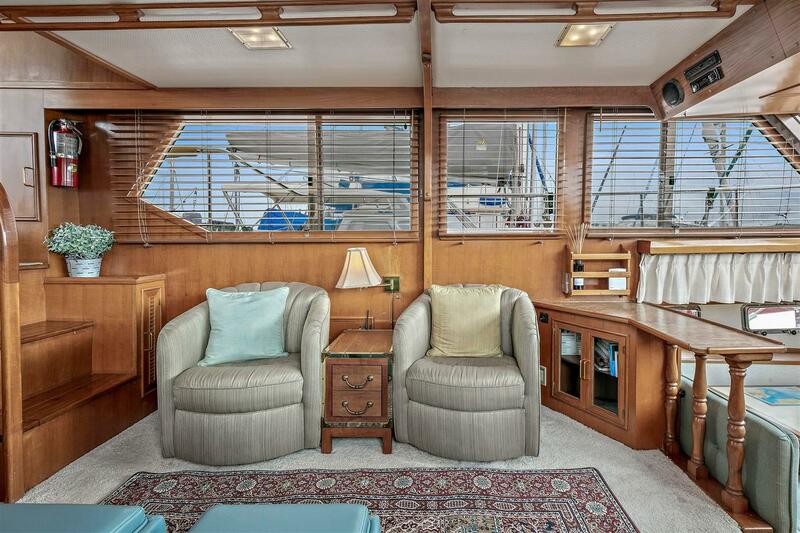 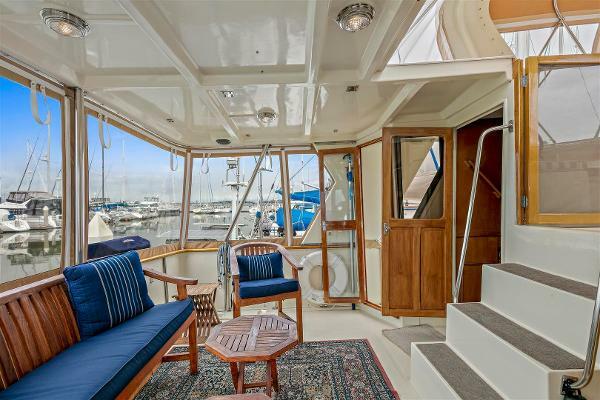 Forward of the main salon and down three steps is a spacious dinette to port and a large galley to starboard. 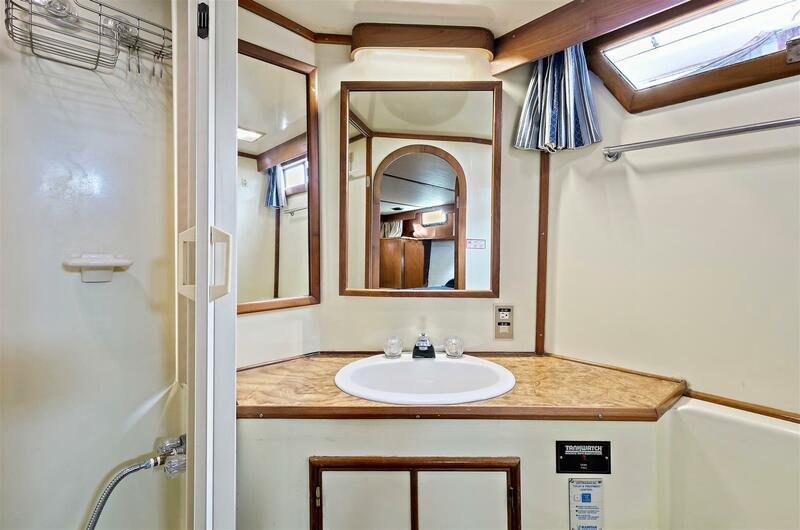 Overhead windows flood this area with natural light. 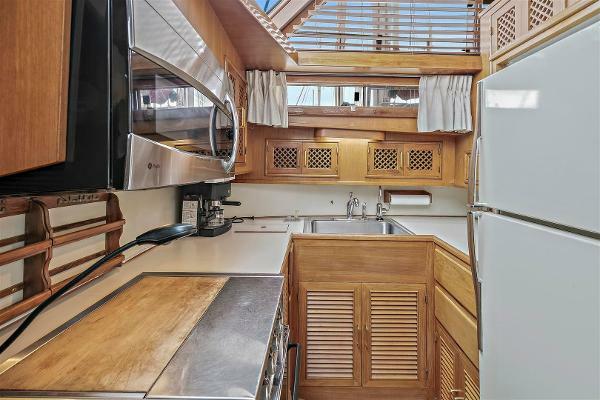 There is a full sized refrigerator/freezer, Princess 3 Burner Electric Stove with conventional oven below, GE Microwave Oven above, household size stainless steel sink, ample counter space and extensive cabinet and drawer storage throughout the galley, as well as storage boxes located under each dinette seat. 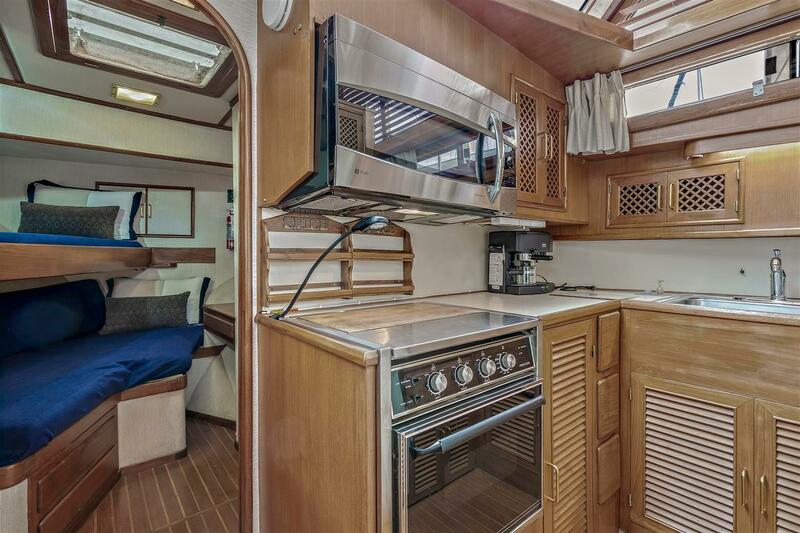 The dinette can be converted to a double bed to provide additional sleeping capacity. 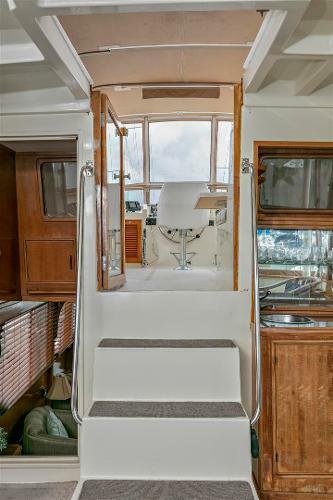 Aft of the main salon and down three steps is the owners suite. 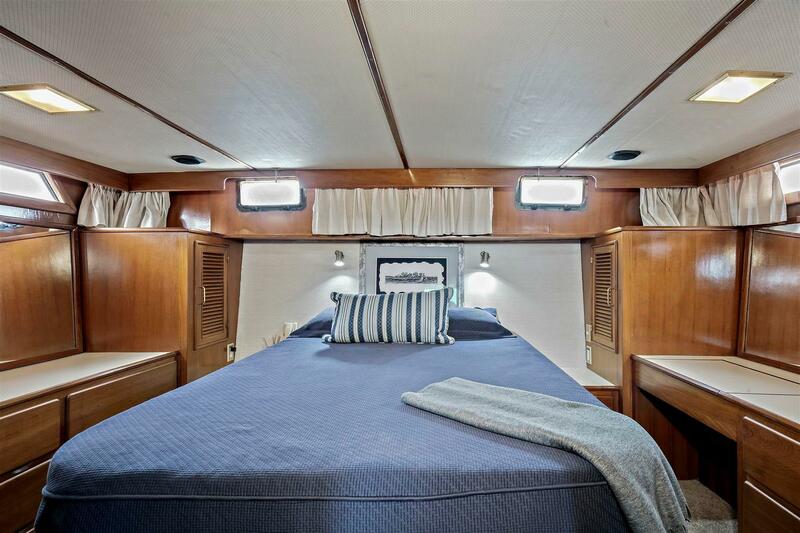 This suite features a luxurious centerline queen bed with two side tables. 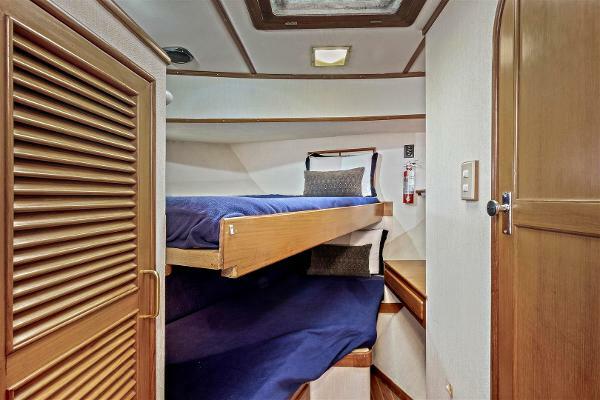 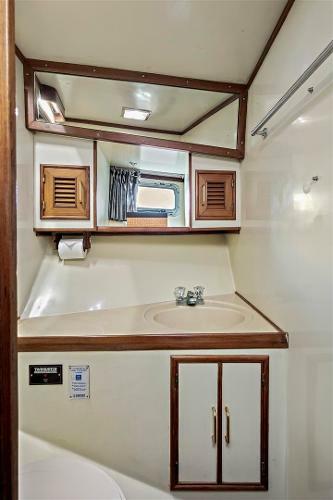 There is a full head with a large stall shower to starboard, vanity to port, and ample hanging lockers and drawers. 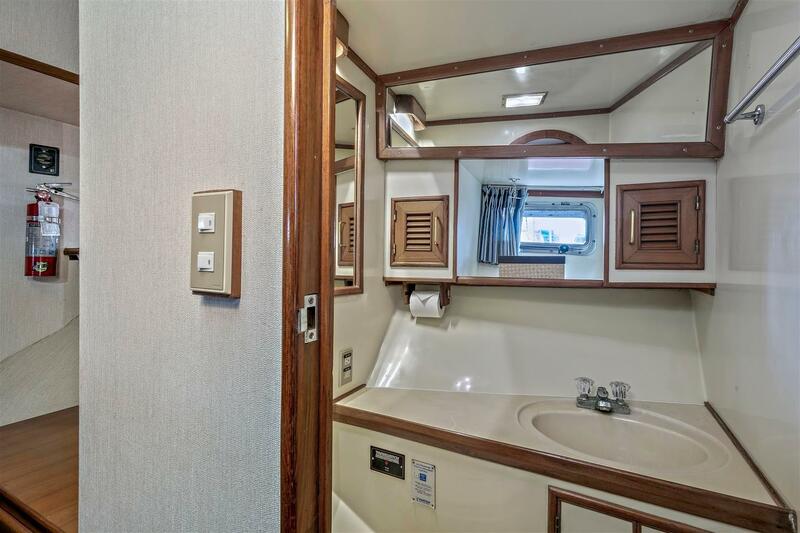 The owners suite is large and bright with windows on all sides, indirect accent light and privacy coverings for all windows. 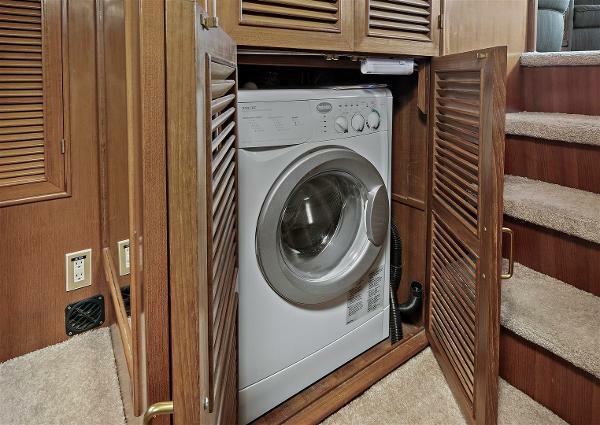 In the companionway leading to the owners suite is a large cabinet which has a new washer / dryer. This cabinet also has a linen closet. 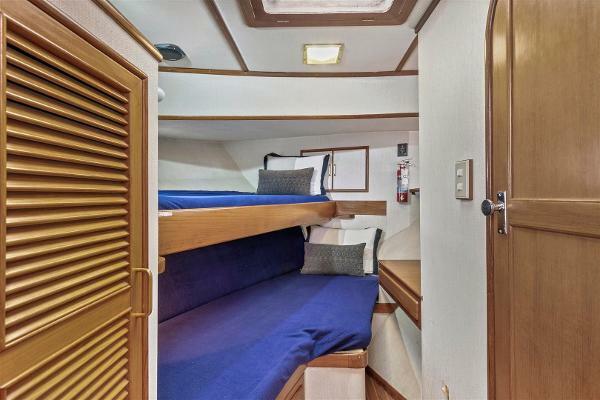 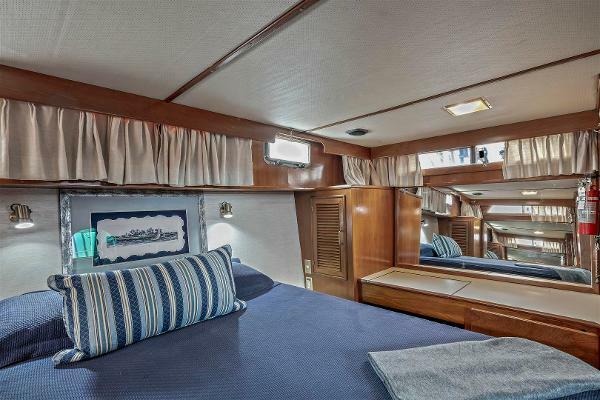 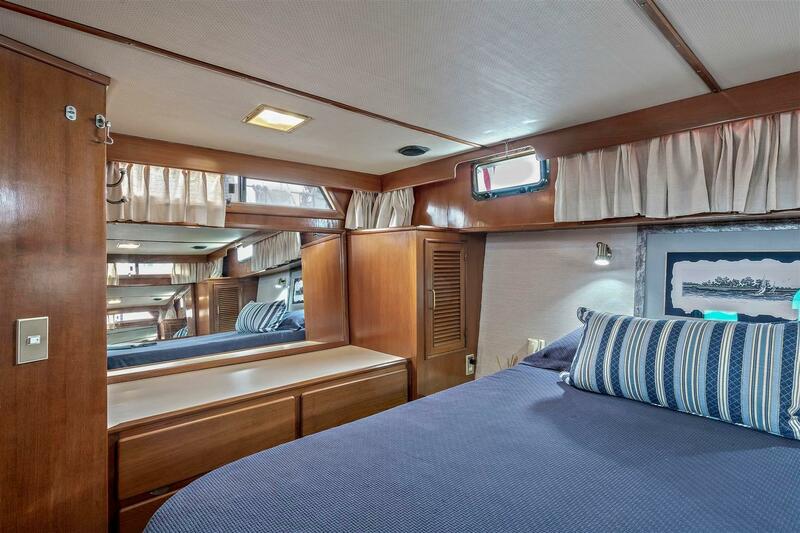 Forward of the galley and dinette area is a guest suite with upper & lower double sized bunks to port. 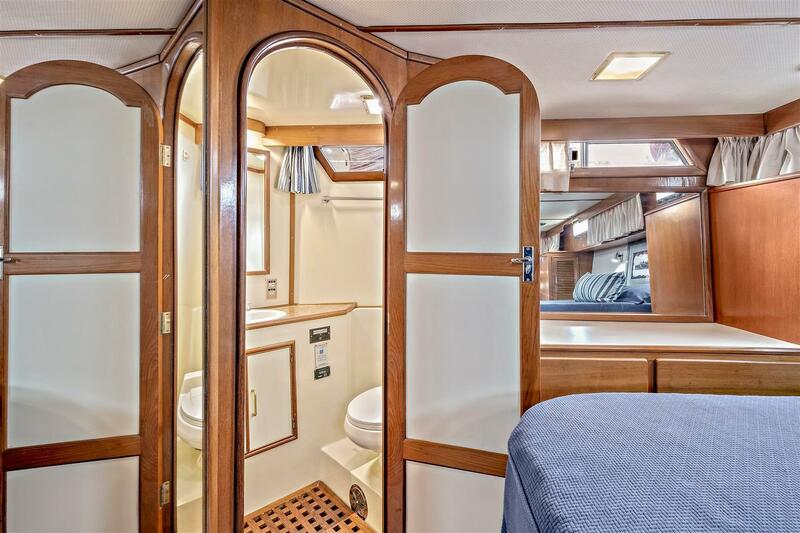 The head has a vacuflush toilet and shower to starboard. 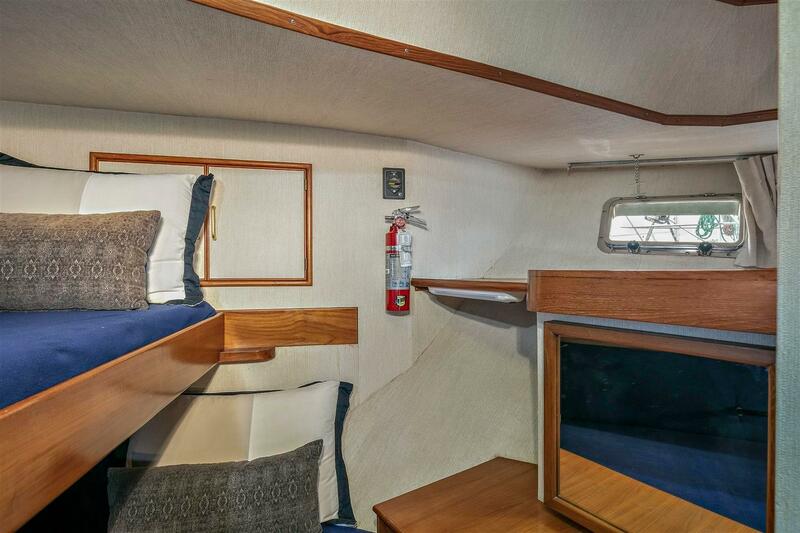 This is a spacious and comfortable stateroom for guests and this head can serve as a day head keeping the master head exclusive for the owners. 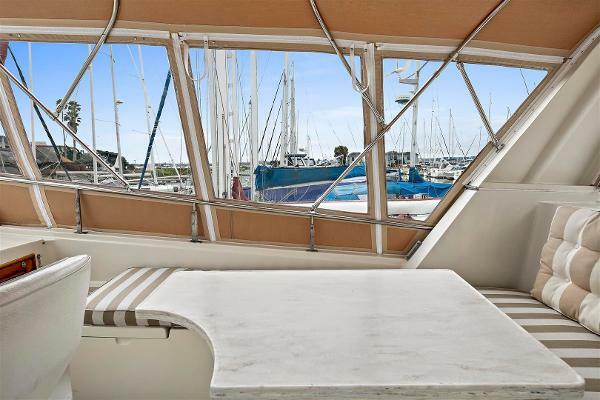 Up three steps from the salon is the Sundeck. 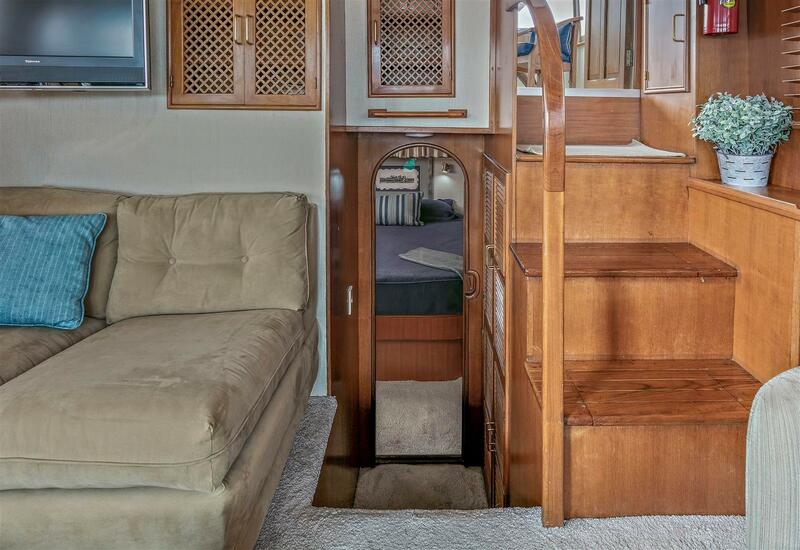 This delightful space has a new full enclosure which permits year round enjoyment. There are port & starboard wing doors which lead to the walk around on both sides of the vessel. The sundeck features a nice wet bar with a U-Line Refrigerator and Ice Maker. 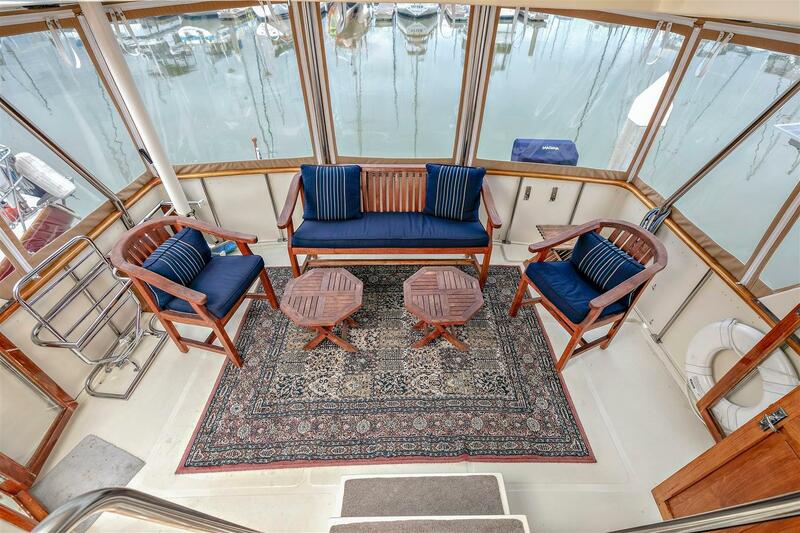 The sundeck is furnished with a lovely teak ensemble which completes this comfortable lounge area. Up from the sundeck is the large, fully enclosed flybridge with centerline helm. The entire canvas enclosure and isenglass on the flybridge is new. 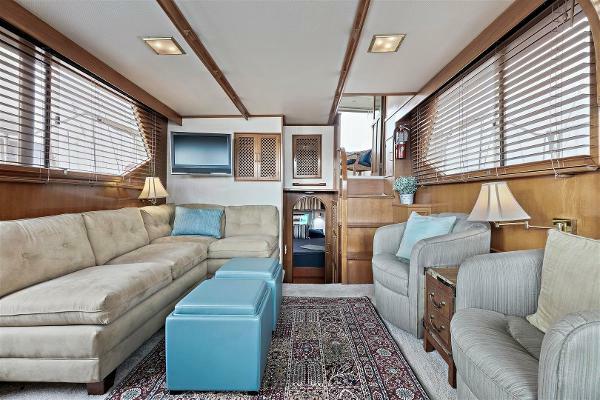 The large settees on both sides have designer fabric covered cushions with matching pillows and under the cushions are additional storage hatches. There is ample seating for many people on both port and starboard sides and the settees are large enough to serve as additional berths. 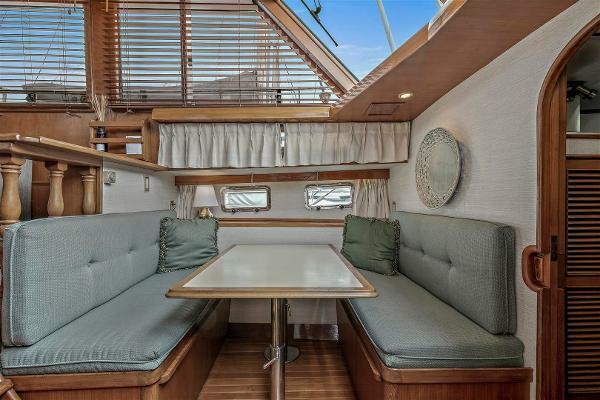 There is a custom high/low table on the starboard side for dining or relaxing. 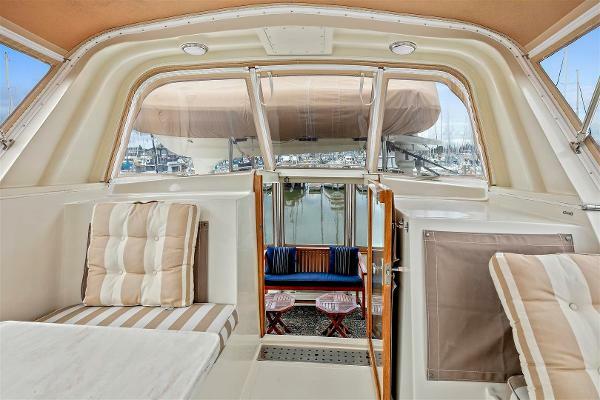 Aft of the flybridge is access to the upper deck storage of the dinghy. 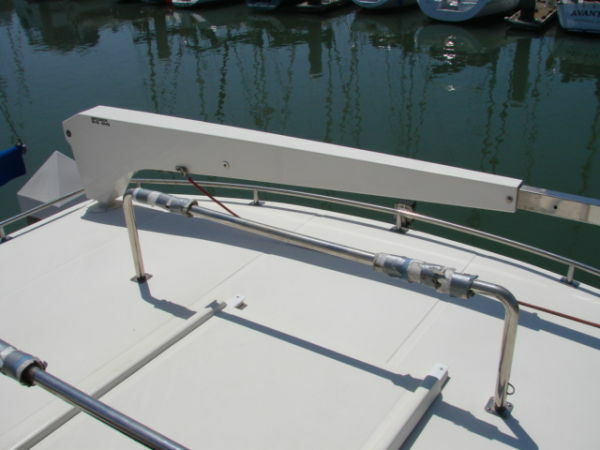 The dinghy is safely stored in a stainless steel cradle and the Brower System Davit raises and lowers it with ease. 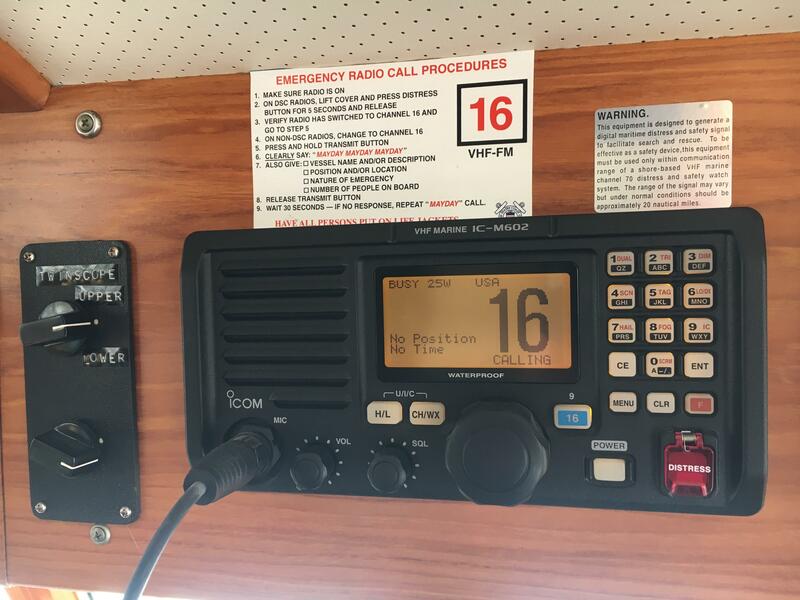 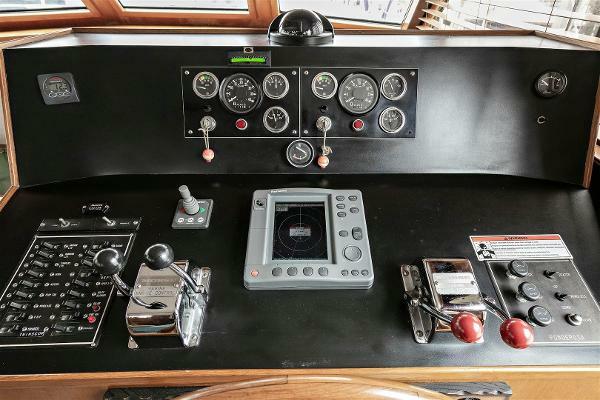 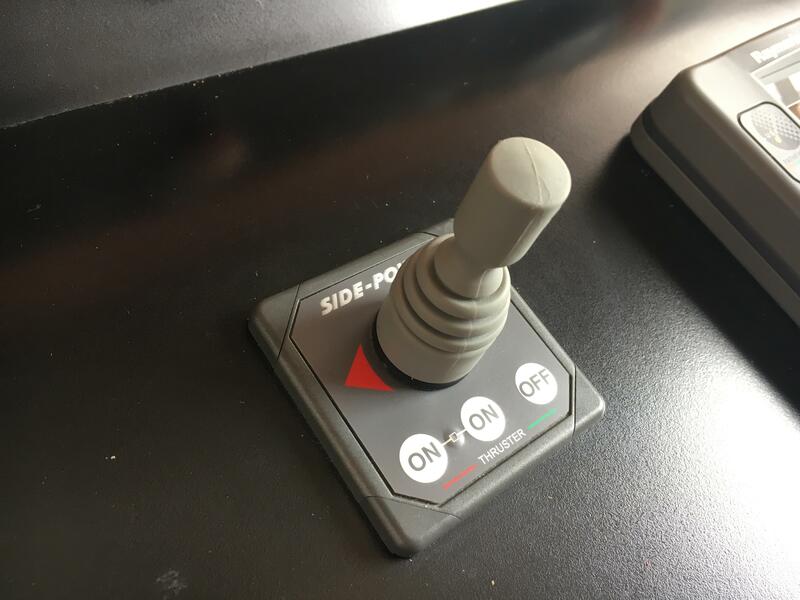 The configuration is distributed on both upper and lower helms giving the captain a full range of information and control at either helm. 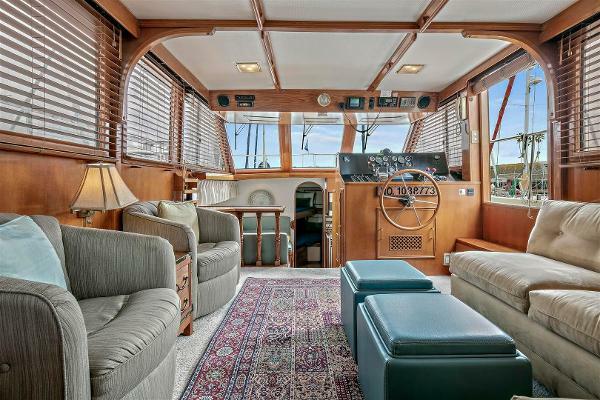 The easily accessed and well arranged engine room is immaculate on TALIANNA. 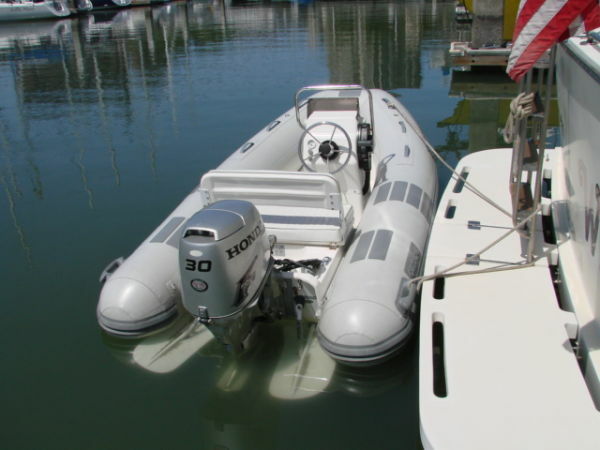 The twin Perkins T6.3544M 200 hp engines can be accessed on both sides for easy maintenance. 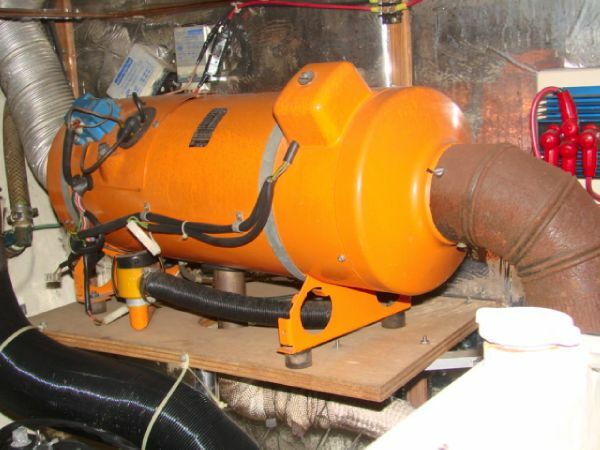 There is an 8KW Northern Lights generator in a sound shield enclosure. 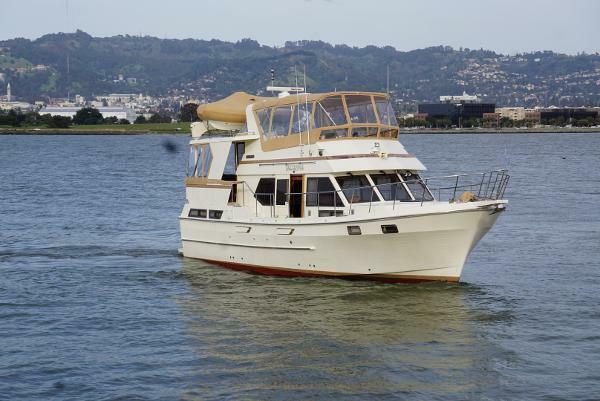 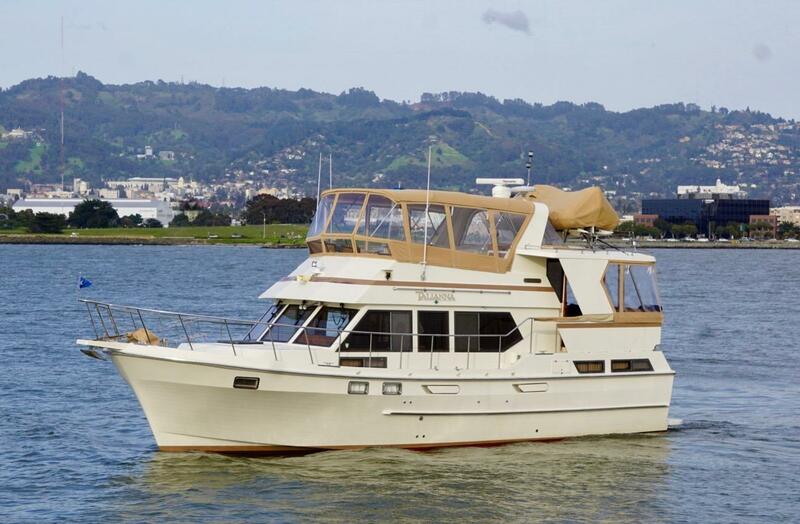 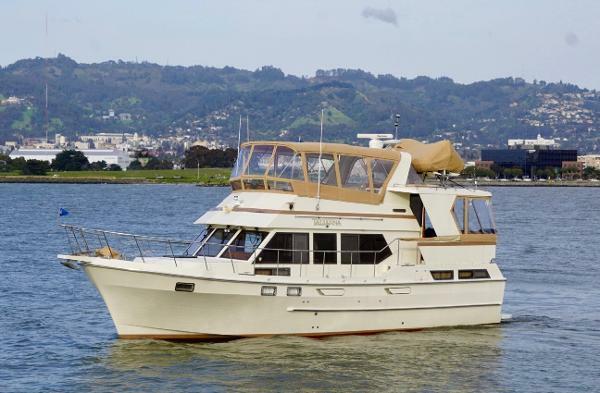 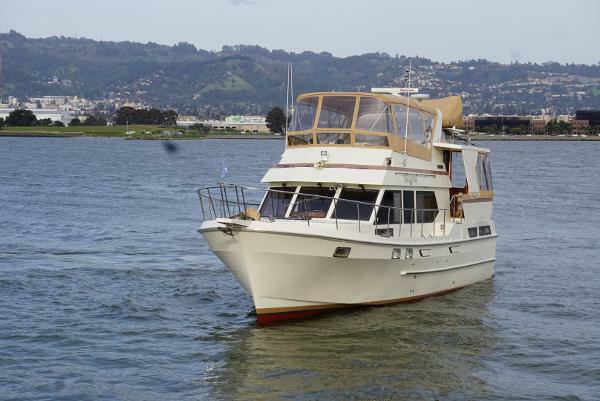 Additional equipment includes an Espar Diesel Heater to starboard and a Raritan 20 gallon hot water heater to port. 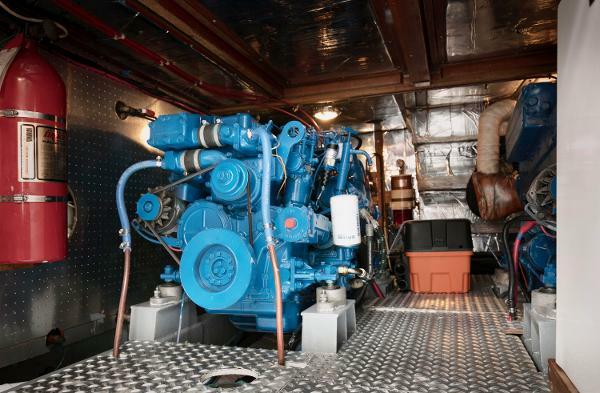 All pumps are accessible and the entire engine room is lined with sound proofing material. 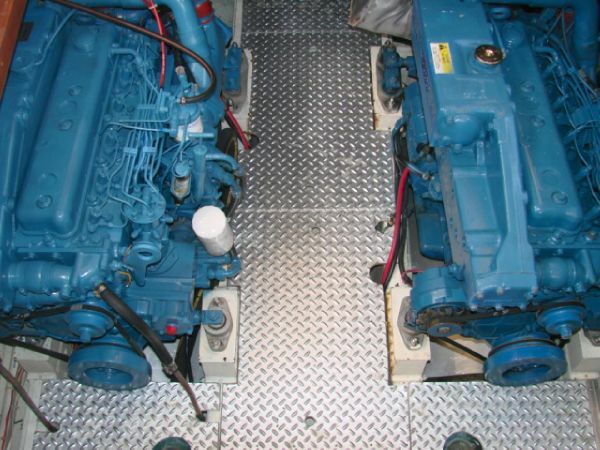 8D Batteries are neatly enclosed in battery boxes located on centerline below the engine room sole. All fuel valves are conveniently located on the aft engine room wall. 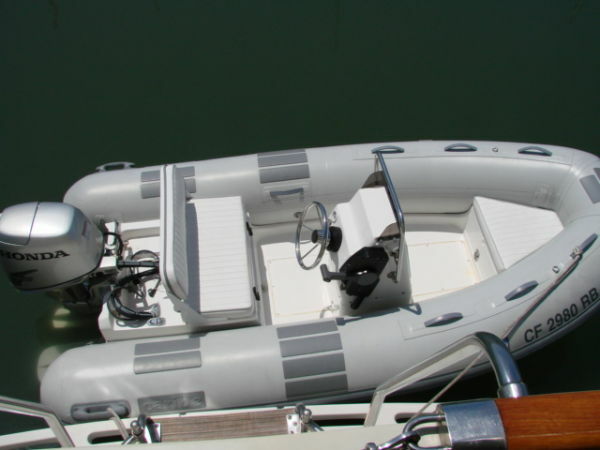 Included in the sale is a newer 11' Caribe Center Console Dinghy with a 30 hp Honda Four Stroke Engine. The Brower Systems Davit and the cradled storage location on the Sundeck roof make it easy, safe and convenient to launch your dinghy and cruise from the anchorage to your favorite restaurant. Rarely do you come across a vessel like TALIANNA that has been maintained and upgraded to these standards. 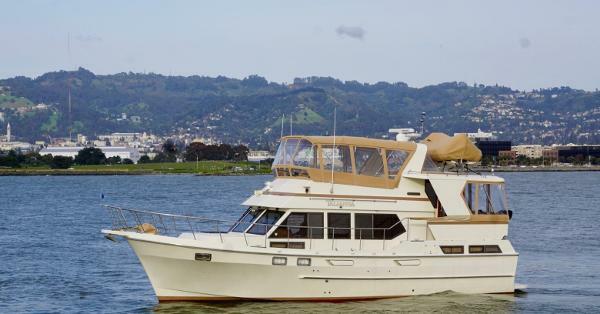 The owners relocated making it impractical to use the vessel any more. This is truly a turn key situation at a fantastic price for a new owner to walk in and have fun from day 1. 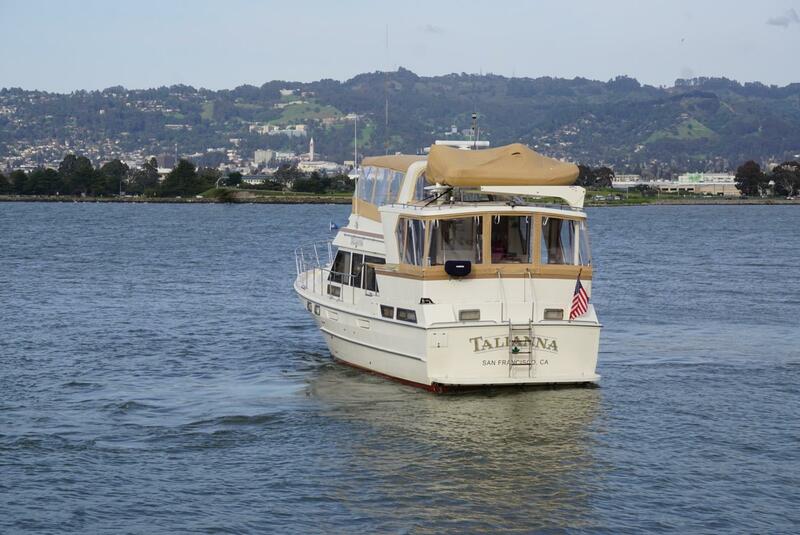 For the extended family TALIANNA provides ample accommodations for all. As a live aboard this vessel is extremely comfortable. This is a must see first class yacht.